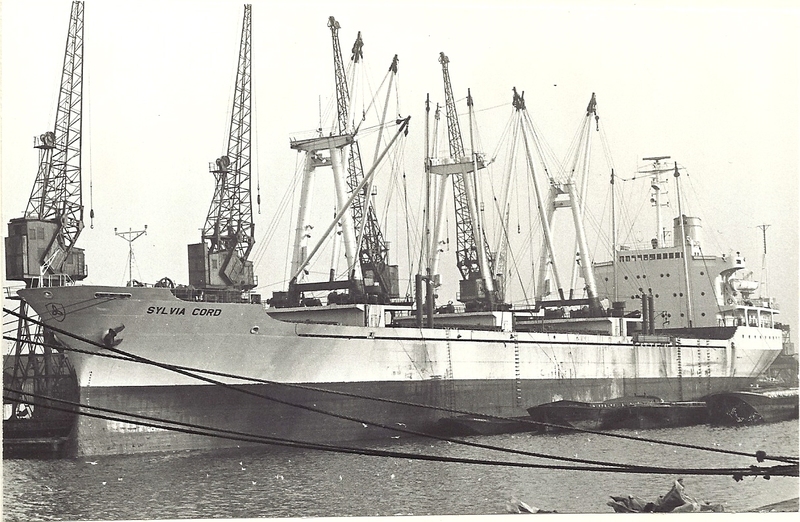 The vessel SYLVIA CORD in Tilbury in about 1971. She was built in 1968 at 10,056 grt. She became GOLDEN BENIN; then PROTOKITOS; then SILJA DAN and was scraped in 1984.